off the assembly line in Georgetown. 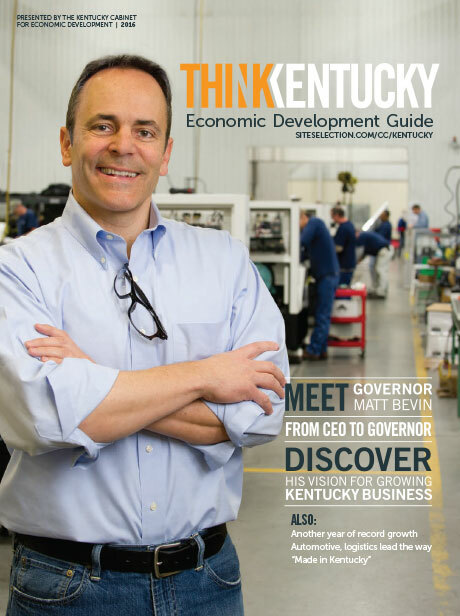 By any standard, 2015 ranked as a great year for Kentucky’s automotive industry. All three auto manufacturers in the Commonwealth announced expansions or new products. Ford, General Motors (GM) and Toyota each made sizeable investments at their plants in Louisville, Bowling Green and Georgetown. Toyota’s manufacturing facility in Georgetown also began producing the first US-made Lexus (pictured above). And suppliers from Hopkinsville to Corbin and dozens of towns in between invested and expanded to keep up with demand. The year’s first major expansion announcement came from GM in May. The company’s $439-million facility upgrade includes a new 450,000-sq.-ft. paint shop at the Bowling Green plant, which produces the Corvette. Paint shop construction started last summer, and the entire project could finish in 2017. The facility will receive tooling and robotics upgrades as well as environmental and efficiency enhancements. “With this major technology investment, we can continue to exceed the expectations of sports car buyers for years to come,” said GM North American Manufacturing Manager Arvin Jones. The plant began Corvette production in 1981. With more than 1.6 million assembled, the Corvette ranks as the world’s longest-running continuously-produced passenger car. In October, the first Lexus ES 350 rolled off the production line at Toyota’s manufacturing facility in Georgetown — the company’s flagship North American plant — which began building the Camry in 1988. The company invested $360 million in a dedicated production line for the Lexus, adding 750 employees. “Localizing Lexus production is in line with our North American production strategy, and is rooted in our philosophy of building cars where we sell them,” said Toyota North America CEO Jim Lentz. “The Kentucky plant is known for being one of the top vehicle manufacturing facilities in the world.” The company expects to produce 50,000 Lexus vehicles annually. Toyota also continued to make substantial investments in the facility — $124 million in 2015 — and broke ground on the new production engineering campus in Georgetown that will add 700 employees, including 300 engineers. Johannef Winklhofer, Managing Partner for iwis, addresses the crowd at the grand opening of their new Kentucky operation. The largest expansion announcement came in early December, when Ford said it will invest $1.3 billion at its Kentucky Truck Plant (KTP) in Louisville, creating 2,000 jobs. KTP, one of two Ford plants in the city, will produce the all-new 2017 F-Series Super Duty truck using high-strength steel frames and light-weight aluminum-alloy bodies. The change reflects an earlier move to aluminum body panels for the company’s top-selling F-150 pickup truck. The KTP investment includes a new body shop, facility upgrades and retooling for the new production line. “The Ford Motor Company and the City of Louisville have come a long way since Ford started making Model T’s at the corner of Third and Breckinridge in 1913,” says Louisville Mayor Greg Fischer, pointing to the company’s earliest days manufacturing in Kentucky. Ford’s Kentucky Truck Plant located in Louisville will produce the all-new 2017 F-Series Super Duty using aluminum alloy bodies. Hendrickson USA not only broke ground on a $20-million facility in Elizabethtown last April, but also announced plans to invest $19 million in an additional expansion. Hendrickson, a manufacturer and supplier of medium and heavy-duty suspension systems, axle systems, springs, stabilizers and bumper and trim components, projects it will add 21 additional jobs with the expansion. Douglas Autotech Corporation announced a $14.1-million upgrade and expansion of its 116,000-sq.-ft. facility in Hopkinsville. The company, which produces automotive controls, steering columns and shifters, plans to create 115 jobs over the next three years. Robert Bosch Automotive Steering LLC is expanding its facility in Florence. Bosch, which produces steering gears for the car and light truck market and assembles steering columns, hydraulic and electric steering gears and power steering pumps for the auto industry, will invest more than $84.5 million as part of the project. Bowling Green Metalforming, an auto body and chassis assembly manufacturer, announced its sixth expansion since locating in Kentucky, with an investment of more than $261 million and a planned 450 jobs. The expansion of Toyotetsu’s North American headquarters in Somerset means an investment of more than $20.6 million in the facility by the automotive components and stamping company. With $2.8 billion in new investments announced in 2015, Kentucky, long a critical player in the automotive industry, looks to continue its role long into the future. From OEMs making substantial investments to suppliers taking on new challenges, the relationship between Kentucky and the auto industry should strengthen for years to come. A new automotive conference hits the ‘sweet spot’ in addressing Kentucky’s role in the global market. Sheryl Connelly of Ford Motor Company speaks at the 2015 AutoVision Conference. Association (KAIA) organized a busy year in 2015. Not only did the organization commission and release an in-depth economic impact study of the automotive industry in Kentucky, the group also hosted the first-ever AutoVision Conference in Louisville in September 2015. The nearly six-month study conducted by researchers at the University of Louisville Urban Studies Institute found the auto industry contributes $14.3 billion to Kentucky’s gross state product (GSP), with roughly $1 out of every $13 in the state’s economy tied to the industry. 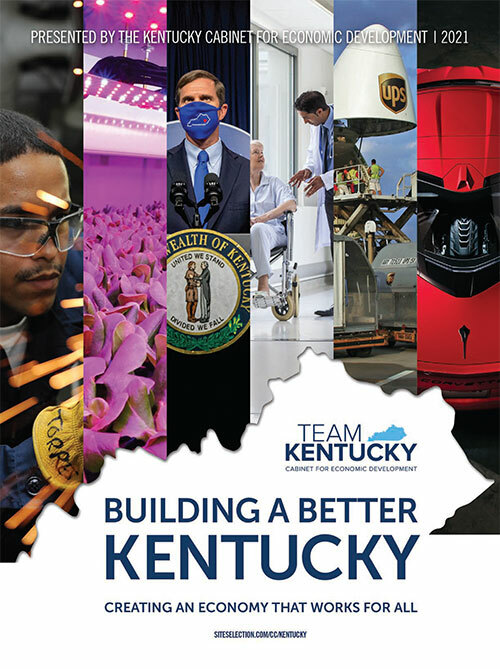 It also calculated the automotive industry supports 136,500 direct and indirect jobs in Kentucky. The AutoVision 2015 conference — a massive success — featured brilliant automotive minds from across the globe as speakers and panelists. The conference created a forum where everyone connected to the automotive industry could come together — from economic developers and elected officials, to senior manufacturing executives and the folks running the shop floor – and engage in discussions about the industry, its direction and future prospects. Speakers included Victor Mendez, U.S. deputy secretary of transportation, who discussed infrastructure upgrades; Sheryl Connelly, a futurist from Ford, who spoke about consumer-driven technology and design innovation; and Mustafa Mohatarem, GM economist, who discussed the economic trends and what they might mean to the global automotive market. Session topics included the advent of autonomous vehicles, how companies are developing lighter materials, workforce development, environmental sustainability and drive-train technology.